The online sales of personalised printed products is increasing since the beginning of the internet. More and more consumers find their way to online shops where they can design their own products. But with this trend also comes the challenge of clearly communicate the looks of the designed product. A wrong impression can lead to more pressure on customer service and a lower conversion. A solution that comes to mind is displaying a 3d image of the designed product. 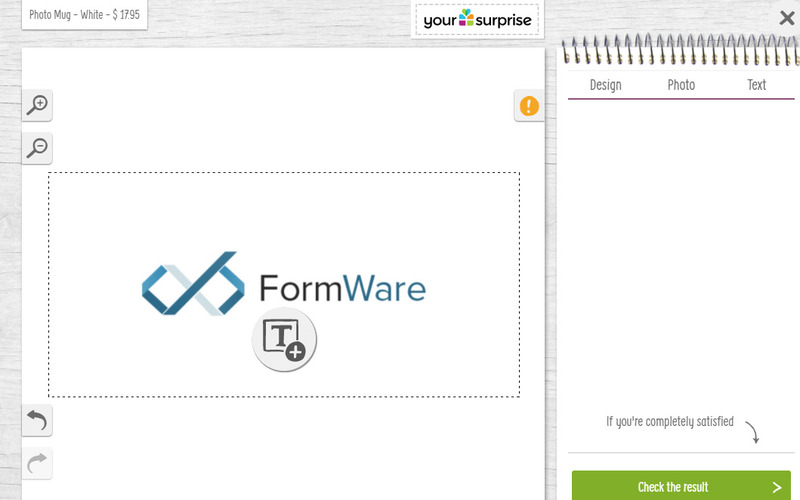 Nowadays many options exist for displaying 3d previews of personalised products to consumers. Flash, WebGL or HTML5 Canvasses to name a few. However each of them has downsides for ecommerce.Flash doesn't work on iOs devices. WebGL or HTML5 Canvasses are also not widely supported on mobile/tablet devices. If they would work, they would still require that the entire geometry needs to be downloaded to the client. For an accurate 3d model this can quickly go up to multiple Mb's. Also, the quality of the preview depends on the graphics cards of the consumer. Less customer service pressure and 7% conversion increase. Yoursurprise has been creating personal gifts since their founding in 2005. They have grown to be one of the larger providers of personal and corporate gifts in Europe. 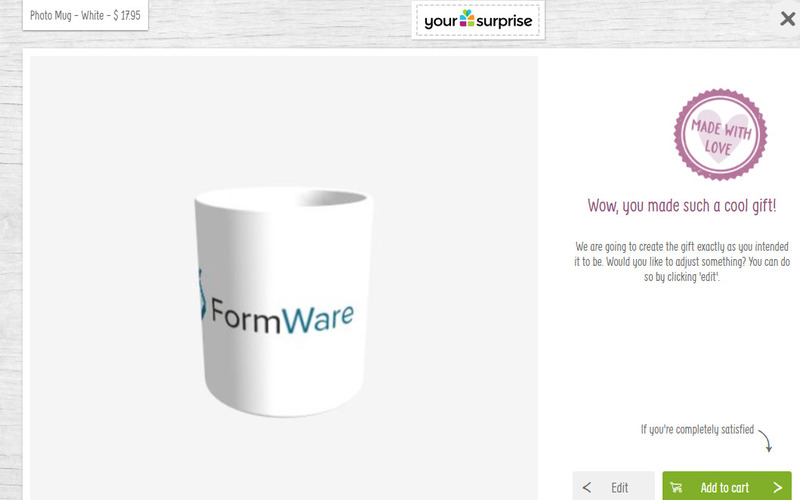 With Renderware implemented in their configurators they are able to get 7% more conversion on the sales of their personalised mugs and less pressure on their customer service department. 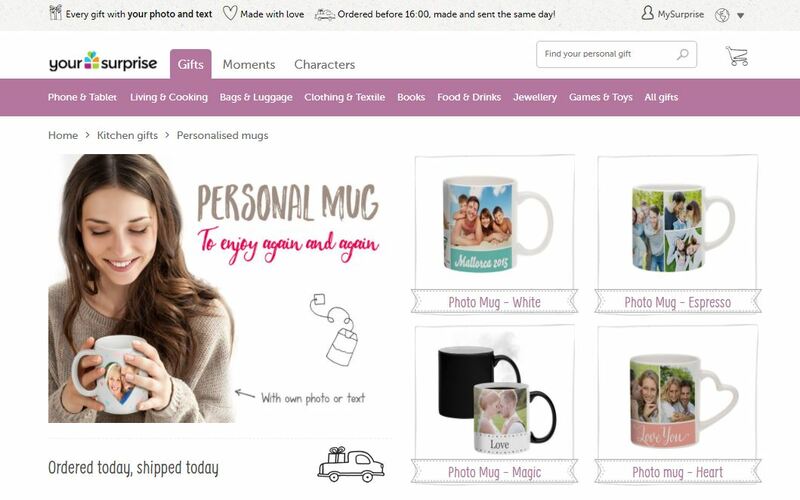 Your customer uploads 1 or more images for a personalised product. For example a photo-mug. Within 1 second our api loads your mugs 3d model and quickly creates a .jpg file with +/- 30 views stitched together. For the modelling of your products to be exact we require some samples; but this is not always necessary. If you have a technical department you can integrate the Api without much effort in your application yourself. Otherwise we are happy to assist.